Does Anyone Support the European Union? 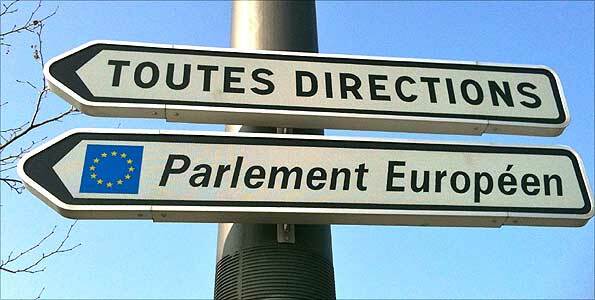 Well, some do of course – although it’s increasingly difficult to understand why Europhiles are not an extinct species. I do not want this site to become overly political, but this issue is so important to those of us who live in Europe that I have to raise it. I’m British but I also spend a good deal of time in Portugal. My partner is German. I think Europeans are great (well, I am one of course) but just about every Brit, Portuguese and German that I meet has had enough of the EU. Those of us from Northern Europe are sick of paying for the whole thing when we have almost no influence over how our money is spent. Those in Southern Europe, who were encouraged to expand using borrowed EU money, have been told the Euro pot is now empty and are finding interest and repayments impossible to meet and consequently are struggling to survive. How did we get into this mess? I can only really speak as a British citizen. I was told we were entering a trading club, the European ECONOMIC Community (EEC) or Common Market, which I still support. But I’ve ended up with an unaccountable bureaucratic dictatorship which (at enormous cost) shuttles between Brussels and Strasbourg, just to appease the French, and moves ever closer to a federal state. And do not underestimate the EU’s powers of deceit. A couple of years back there was video footage on YouTube showing MEPs (Members of the European Parliament) in Brussels coming out of a lift into a lobby area on the first Monday of each month. They were seen signing an attendance register entitling them to their salary and expenses, then they immediately disappeared back into the lift to return home. The footage mysteriously disappeared from the website and is now nowhere to be seen. British readers will be aware of the fraudulent claims made by their MPs revealed by a Daily Telegraph investigation into expense claims in the UK (see my page relating to a certain Mr Viggers whose outrageous greed gave rise to the title of this website). I really hope they look at MEPs next – I fear the results will be 10 times worse. 1) Some EU laws have sought to introduce social improvements (The Working Time Directive for example) although these may have happened anyway if Britain had not joined the EU. 2) Reciprocal healthcare – EHIC (the European Health Insurance Card). Again a similar arrangement may have been put in place although that’s conjecture. My partner had no problem getting healthcare in Britain long before the EEC was conceived. 3) Er… Can’t think of any more. 1) The Enormous Cost to the British taxpayer. Our membership fee is £2million (€2.3 million) PER HOUR or £50m per day. Europhiles will tell you that we get about half of this back but this is mainly loans and there is little evidence of these. In my travels through other EU countries I have frequently come across large capital projects (roads and other government building programmes) displaying the ring of stars and promoting EU financial support. I seriously cannot recall a single such project in Britain – but maybe it’s our fault for not shouting loud enough. 2) Immigration. EU law, which subsumes British law, dictates that members must accept unlimited numbers of immigrants from other EU countries. It seems that Britain’s soft approach to providing free housing, unemployment benefit, education etc results in more immigrants coming into Britain than into other countries. Britain even pays child benefit to parents of Polish children that still live in Poland. There is considerable concern that when Bulgaria and Romania join the EU at the beginning of 2014 the country will be flooded with another influx of a million or more immigrants when the British people are struggling under austerity measures and cannot provide the infrastructure currently needed in this small island. The government could have put temporary restrictions on EU immigration as did other EU countries, but UK politicians wanted to show that they were “good Europeans” (and book themselves jobs in Brussels when they get thrown out by the British electorate). The great fear is that this powder keg will erupt into violence. 3) Trade Deficit. Despite the fact that Britain pays a large sum into the EU coffers for membership of what was supposed to be a free trade club, it actually imports far more from the EU than it sells to other member states. It really does not make sense to pay for access to an organisation that actually damages the economy. 4) Bureaucracy. The Brussels machine churns out Directives on an almost daily basis which are strangling British business. What is more is that other member states seem to ignore regulations which they don’t like whilst Britain implements them to the letter, and often supplements them with more red tape. Directives cover everything from weights and measures to recycling; from packaging to contracting. For example if the British government has a project over about £100,000 (this amount changes because the contract size is denominated in Euros of course) and it has identified a British company as supplier, it still has to publish a tender in the OJEU (Official Journal of the European Union) and consider tenders from other EU countries. If it still opts for the British company it has to justify its choice to Brussels in terms of value, price etc. Oh, and British retailers are not allowed to promote British goods over others as that contravenes EU law. 5) Lack of Democracy. No EU member, Britain included, has sufficient MEPs to be able to determine policy, and rights of veto are all but gone. MEPs have to book timed slots to speak in the EU Parliament and there is no right of reply. And, of course, the European Parliament is nothing more than a rubber stamp anyway, with decisions and Directives coming from unelected civil servants in the European Commission. At a time when it is recognised that good government is close to the people, the decision makers are more and more remote and unaccountable. 6) EU Fraud. At the time of writing the EU’s accounts have failed audit for 17 years in succession as they are unable to account for their expenditure. If this applied to a British company it would have been closed down years ago and the directors would be languishing in jail. Millions of Euros don’t disappear for 17 successive years by accident. 7) Cost of the Euro. Thankfully, despite pressure from every British government since the Euro was conceived, public opinion has kept Britain out of this unholy mess and Sterling has been retained. Whether the Euro will collapse remains to be seen, as ever more desperate measures are introduced and more demands are placed on (primarily) the Germans to fund bail outs for Southern European countries who lost control of their economies when they lost their currencies. Any fool could have forecast that “one size fits all” would not work – but then the EU is run by fools. Britain is probably less affected than many other EU states although membership of this toxic club has undoubtedly damaged the British economy, and it is certain that British taxes are being used to fund Euro bailouts (have you ever come across a government that successfully earmarks different taxes for separate purposes, especially one that lost control of its finances 17 years ago?). So both the Northern European and Southern European countries are suffering. Apart from MEPs, the Commission and all the civil servants supporting the EU machine, is anyone profiting? I think not! I could write on this topic forever as I think it is the most important issue in British politics. However, this post is long enough already. Over to you for your views! 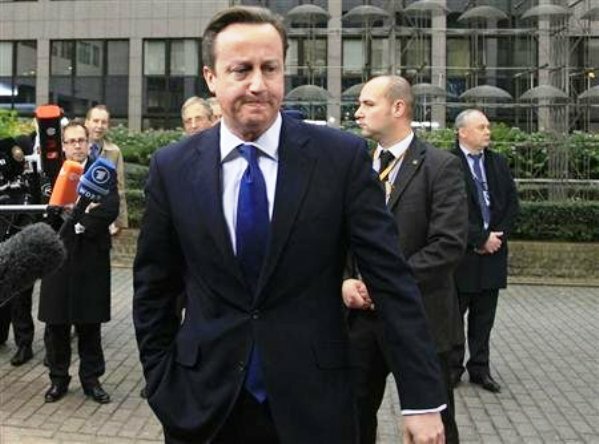 This entry was posted in Home and tagged Brussels, Cameron, David Cameron, EC, EEC, EU, Euro, Europe, European Union, Farage, MEPs, politics, Strasbourg, UKIP. Bookmark the permalink. 4 Responses to Does Anyone Support the European Union? I think you have summed the situation up perfectly! However, I’m not entirely clear re. If the UK was not a member of the EU, would we need some sort of visa to live in another EU country? Can’t see why. My other half (who you know well Piglet) is German and has never changed her nationality or residency. She has lived in Britain since the mid-60s, long before the EEC or the EU, and has always had all the same rights as me except she can’t vote in a UK general election. Just re-read this after 5 years? Why weren’t you in charge rather than Mother Theresa? The above was written long before the Referendum in June 2016. What annoys me is that, although the majority seem to broadly share my views and want out, in two and a half years absolutely no progress has been made towards the Brexit we voted for.